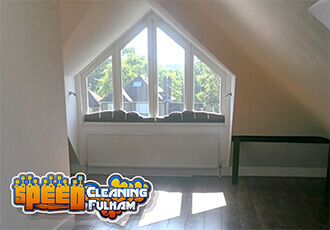 We are one of the best reputed and most capable professional cleaning firms currently operating on the territory of Fulham. 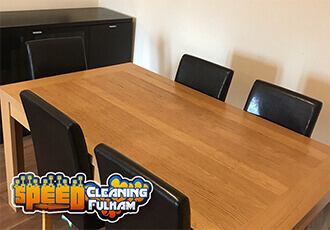 We at Speed Cleaning Fulham are ready to deliver a service of a premier quality to all our clients who need their cleaning needs to be taken seriously. Over the years we have established a very prominent reputation among members of the local community – for the simple reason that we are indeed the best at what we do. Carpet cleaning – the flagship of our company, carpet cleaning in Fulham is done by us in a quick and very effective manner. We remove stains, dust and allergens from the fabrics of your favourite flooring solution and do so in a manner that prolongs your carpets’ lives. You get £10 discount if you book our service for the first time. Sofa and upholstery cleaning – once our friendly and capable experts are done sanitising your furniture, you will not be able to tell that it has not just arrived from the store. That’s how good we are. By booking £80 worth of upholstery cleaning with us you will have the unique chance of having one of your office chairs cleaned for free by our veteran technicians. Mattress cleaning – one of the most important things to do when it comes to taking care of your bedroom, mattress cleaning is done with tested methods and equipment that is proven to provide high efficiency in removing dirt and allergens from your mattresses. If you hire us to clean three pieces, you will get a 10% discount for the whole service, so don’t wait up and book us. Hard floor cleaning – in addition to your carpets and area rugs, hard floors deserve special attention as well. Our licensed cleaners are going to carefully remove all spots, dust and dirt from the surface of your hard floors and then proceed to refinish them in case that is necessary. We will prolong the life of the wood or stone, and provide you with excellent results on a reduced price. You can mix and match hard floor cleaning with upholstery cleaning and get a 10% discount for the latter. 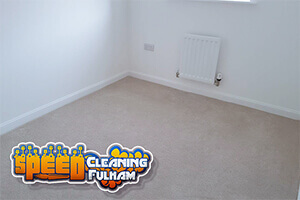 All services from Carpet Cleaning Fulham are delivered by teams of vetted, fully licensed and equipped technicians who have intimate knowledge of all the best techniques used in the business, as well as the capabilities of the state of the art professional sanitation equipment that they have at their disposal. Our cleaners in Fulham will answer your call at any time and thanks to the very flexible schedule that they operate on, they will be able to show up exactly when you need them to take care of the jobs you have prepared. Not to mention the fact that you will actually have a much better job done on your property than if you have tried to clean it on your own. If that is not a good reason to seek after the help of professional cleaners of our rank, we do not know what is. 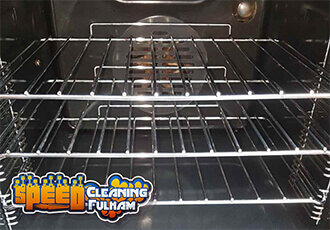 Booking of a cleaning service in Fulham from our list is easy. All you need to do is fill out the easy to use contact form to be found on this website and request a free quote. Or just call and summon us to your place. We are looking forward to working for you. They did an amazing job steam cleaning of the carpets in our home. I was with how much dirt came out of them, now we can have an ease of mind when our one year old can roam the floor. They did a great job for me when I needed to change apartments. I had no time for cleaning and hiring them was way better than losing my deposit. They have a 48h guarantee, so you can be sure to get your money's worth.